I recently had a look at my TBR piles and realized I would easily come up with 12 books centering on one war or the other. I ruled out quite a few books, like Matterhorn, The Thin Red Line and Catch 22, as they were by far too long. I hope that much more people will feel like participating, if the books are not too chunky. The only really substantial one I included is Elsa Morante’s La Storia aka History. As you can see, there are always a few novels on the same war following each other. I would like to post on the chosen books on the last Friday of every month which leaves us with the following dates. I hope that some of you will participate in reading the one or the other, or even all of them. All the books are available in English, apart from Hiroshima, mon amour. Should anyone feel like participating anyway, I suggest you watch the movie instead as the book is actually a script. I created a page that will be accessible at all times. You can always leave comments. If you are planning on reading along and want to post as well, leave the comment in advance on the page so I can add your link to the post. Alternatively you can always add the link in the comments section. I am really looking forward to this and hope that others might enjoy the idea as well. You can count on me for The Return of the Soldier. I’ll have to look up the others and decide if I’d like to read them. Return of the soldier is marvellous and there’s a great film of it too. Oh, that’s great. You might probably like a few of the others too. Apart from Hiroshima, mon amour I haven’t ready any of them but I know most authors. I am really looking forward to it. 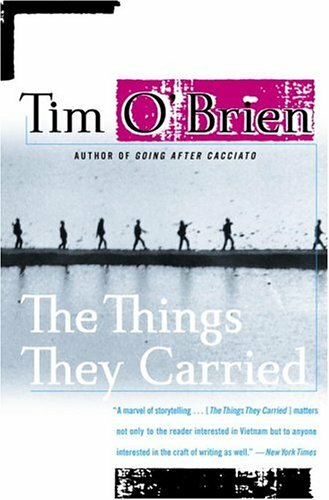 Btw The Things They Carried is one of the books Francine Prose calls a must read in her Reading like a Writer. Tempting but really planning my reading is against my nature. I have read the Duras and the Levi. The latter was emotionally difficult. I might join you on one on WWI, then. After reading summaries, the Rebecca West sounds the most tempting. La Douleur is one of my favourite Marguerite Duras. L’écriture ou la vie (Literature or Life) by Jorge Semprun is good too, but as the Levi, upsetting. “Vers toi, terre promise. Tragédie dentaire” by Jean-Claude Grumberg is a great theatre play on that theme too. You know, I start to wonder if I have read La douleur. I read such a lot of her books in a very short time that I start to wonder… Or did I read some secondary literature on it. Most likely… I heard about Semprun’s book. There are such a lot of books that I could have included as well… I enjoy reading theater plays, will have to have a look at Grumberg. The Grumberg play is based on a true story. It’s black humour. Utterly funny and tragic. I’m definitely in for the Rebecca West. The Duras I know so well that I’ll be interested in any discussion you have about it (although La Douleur would probably have been my choice as it’s such an amazing story). The Carol Ann Lee also looks intriguing, although I don’t know anything about it. Altogether, that’s a great list – good luck with it! It’s great that you will join. And thanks. It wasn’t easy to choose books, there are much more that I could have included, Sadie Jones’ Small Wars and many others. I am sure you read Hiroshima, mon amour and any other Duras book more than once. It will be intersting to hear your opinions on it. I had a problem with La douleur, it wasn’t one I really liked but I didn’t like L’amant either. I love Moderato Cantabile. And some others as well. She used to be my favourite writer when I was younger and I should read her again. I chose Hiroshima, mon amour also because it is a movie. But, yes, La douleur would have been a good choice. I need to read it again, find out why I reacted as strongly as I did. 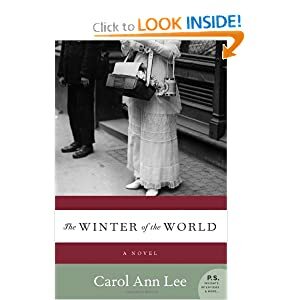 I discovered The Winter of the World on Danielle’s blog. 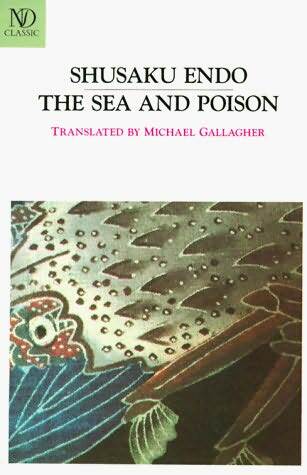 Ah, your challenge turns out to be a readalong, I think I have that book by shusaku endo in my library. I will join that one. I didn’t know the thin red line is from a book. I’ll tweet your readalong to get more people. It would be great if you would join at least for the Endo. I wasn’t sure if it should be a challenge or not and I didn’t know how to create buttons and the Mr Linky wasn’t working either so I gave up on that idea. The Thin Red Line is said to be the best book that has ever been written on masculinity that’s actually why I bought it years ago but it’s very dense and I never managed to read it. Thanks for tweeting the readalong. I’d love to join more but I’m not sure whether I can find them or not. I’d also love to write about your readalong but my computer is broken 😦 all I have is post that I have scheduled before. I miss writing for my blog. By the way, this is my 1st time joining a readalong, What should I do beside reading the book? It would be great if you could join for more but some books may be difficult to get. The American ones are probably easiest. But I think you would like the first three, besides Endo. And probably Levi. It is a very sad book, about his time in a concentration camp… I wanted to read it since years. I’m looking forward to the Lotus Eaters as Soli is a teacher at the school where I am taking online writing courses. Poor you! Why did the computer break? That’s annoying. But you can still access the internet somewhere else? 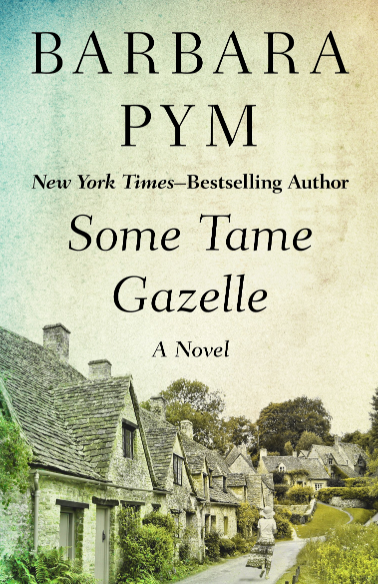 What you normally do for a readalong is either just comment on the post or you can additionally post yourself and let me know so I can mention all the reviews – either via e-mail or comments on the Readalong Page (upper right corner of the blog). That’s all. And mention my and other reviews. It’s meant like a discussion really. It’s interesting to compare other post as well. Everybody finds other things worth mentioning. I have seen readalongs where most people had just read the book and didn’t even post on it but since you post on all of your books it would be more logical to do one as well. Caroline, I’ll try and join you for at least a few of these–right now the June/July/August selections are the ones most calling my name, but there are a few others as well + some I need to research. Your post reminds me that I need to go back and finish West’s Black Lamb and Grey Falcon at some point (one of my major “plans” for 2010 but never ever attempted). Cheers! I’m in. Sounds like fun. Great idea! Hope you won’t mind getting a traditional male’s perspective. Hmmm… What is a traditional male? Be it as it may, you are welcome… Traditional or not. Maybe you are going to be our advocatus diaboli, i.e. Devil’s advocate? You know, I did actually choose the title of the read along consciously, namely putting literature first… I have a feeling there will not be a lot of blood and guts in the first 6-7 novels… Maybe I am wrong. Looks like an interesting list. I’d added How Many Miles to Babylon to my reading list anyway, so I’ll join in with that one for sure. Thanks. It would be very nice if you could join. I just discovered Jennifer Johnston this year and am looking forward to reading this. I’ve read several of these, but enough time has passed that I could easily reread them and feel as though I was starting from scratch. I’ve long wanted to read Tim O’Brien, so I’m happy to see him on the list and I thought The Winter of the World sounded really good, too. I’m looking forward to reading along–hopefully with as many as I can fit in! That’s a very challenging list isn’t it – and how organised you are to be able to plan ahead like that. I have read quite a few books based on war and as I thought about it I came up with ten more – that’s the trouble with books isn’t it – they just proliferate. I hope I can stick to it, I am actually not much of a planner usually but I thought it might be great to read together with some others. I met very nice and interesting people through blogging and appreciate their different views. The list has changed considerably in the last few weeks and would probabaly still change if I had kept it to myself. But I think it is a good choice to start with. Maybe you will join spontaneously? 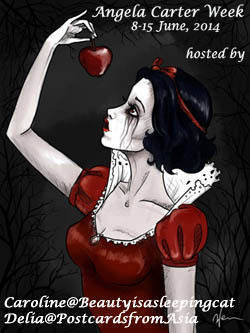 Thanks for stopping by my blog and letting me know about the Readalong. I definitely plan on participating the whole time, and even reserved a copy of the first book at my library this morning. I recently read both of the Vietnam War novels on the list, but I will participate in the discussions. I reviewed Matterhorn a couple of days ago, hands down the best Vietnam War novel I’ve ever read, one of the best war novels I’ve ever read, and now one of my all-time favorites. I hope people don’t let the length of the book turn them off; they’re missing out on great literature for sure! Oh, that’s wonderful news and thanks for stopping by as well. I felt a bit awkward at first when posting the link on your blog but on the other hand your list did really suprise me and I thought you might be interested. I got Matterhorn and would really like to read it but, yes, it is long and I felt it might be too much. It is nicer when many can participate. Doesn’t mean I can’t read it anyway. I will definitely read your review.